“A people’s decision, not politics against the people!” AfD members out campaigning before Bundestag elections. Photo: CC-by-NC-2.0: strassenstriche.net / Flickr. Some rights reserved. On 24 September, Germans voted for a new Bundestag. 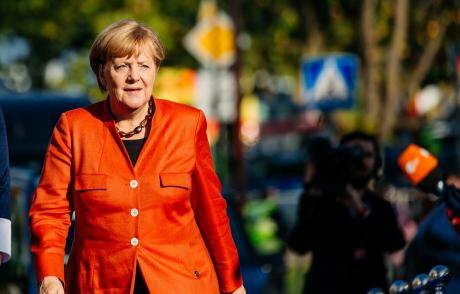 Chancellor Angela Merkel clinched an historic fourth term, with her party, the centre-right CDU (Christian Democratic Union), and its sister party the CSU (Christian Social Union), topping the polls. Her victory was, however, marred by the hard-right populist AfD winning its first seats in parliament. Alternative für Deutschland, or to give the party its full name: Alternative for Germany, holds an openly xenophobic attitude to immigrants and refugees and precious little in the way of policies on other issues. Much of Germany’s media have no doubt where the blame lies: AfD’s votes, they say, must have come from the “Russians” – or rather, recently repatriated ethnic Germans from the former USSR. But is this really the case – and where did the idea come from in the first place? oDR talked about the situation with sociologist Tatiana Golova, a Research Associate at Berlin’s Centre for East European and International Studies (ZOiS). Two repatriates from the former USSR, or Russian Germans as they are also known, have just won seats in the Bundestag. There’s also a common perception of the AfD (encouraged by its leaders) as the party of the Russian-speaking Diaspora. How true is this? Does the AfD really represent their interests? I’m going to answer your question with two more – what is the Russian-speaking Diaspora and who are these “Russian Germans”? If we mean post-Soviet immigrants, the 2015 census gave their number at around three million (and the structure of the census was such that the number of second-generation repatriates recorded was lower than is actually the case). A majority of them are, of course, ethnic Germans from the former USSR. In Germany they are officially described as “late resettlers”, meaning people of German ancestry who repatriated after the fall of the Iron Curtain. About 2,300,000 of them, together with their families, resettled in Germany between 1990 and 2015. Many of them have since had children in Germany, so there is now a second and a third generation. There are, of course, other groups of settlers. The second largest belongs to the Jewish emigration from the former USSR, mainly from Russia – about 200,000 people from this group settled in Germany over the same period. Since 2015, highly qualified immigrants have also been arriving under the aegis of the Blue Card scheme, the EU equivalent of the US Green Card programme. And then there are family members, refugees and Russian nationals who have been living in Israel, the USA or other European countries. The AfD is keenest to reach “late resettlers”, because they have the right to vote in Germany. Other immigrants from the former USSR face considerable difficulty in gaining these rights, and not all of them are successful. Thus, post-Soviet migration is divided not only along cultural lines but also by potential participation in German political life. As for their interests and political leanings, a 2016 publication by the Expert Council of German Foundations on Integration and Migration revealed that just 4.7% of late repatriates, with or without German citizenship, supported the AfD (the figures reflect a poll conducted in 2015, before the party’s open drift rightwards). For comparison, the figure for its support among the “indigenous” population was a mere 1.8%. How do the political views of people from the former USSR compare with those of other immigrant groups in Germany? Do late repatriates differ from other groups in this respect? They share much, but much divides them. Turkish immigrants, gastarbeiters and their families, have always supported the Social Democrats and still do. For a long time, the CDU were the party of choice for Russian Germans, with 65-68% supporting them, but by 2016 this figure had fallen to 40-45%. German sociologist Andreas Büst, however, notes that the same thing is happening with Turkish immigrants – a broadening of political preference. The longer people live in the country, the more diverse their political views. 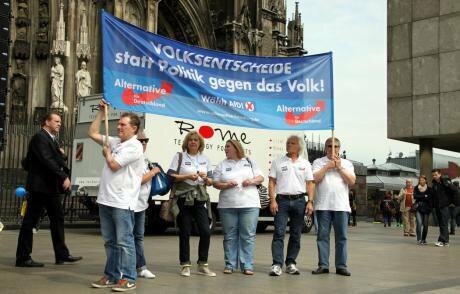 The left-wing Die Linke are gaining popularity among them, as are the Greens and other groups. Germany’s latest elections saw a shift in the balance of power, but chancellor Angela Merkel has held on for a fourth term in office. Photo CC-by-2.0: Arno Mikkor / Flickr. Some rights reserved. In terms of elections, how do you find out what party Russian Germans voted for? Well, you can look at districts where they live with a high population density, a result of both a short-sighted housing policy in the 1990s and individual preferences. The Russian German faction within AfD is always crowing about its results in areas of high density housing – take Maibuche in the town of Waldbröl in North Rhine-Westphalia. It’s a small constituency with a high concentration of Russian Germans, where 50% of voters support AfD – though their 124 votes had little influence on the local result. The turnout was only 44%, much lower than the German average of 78%. This pattern is similar to many other places, including larger population centres with a high proportion of post-Soviet immigrants with the right to vote – in the Buckenberg district of Pforzheim in Baden-Württemberg, for example, AfD got 37%. A more interesting question is to what extent one can extrapolate the views of all Russian Germans from these results. There are, after all, people who don’t live in areas of high immigration and are not immersed in more or less closed Russian-speaking communities. However, there’s little quantitative analysis of voluntary segregation of such groups. So what’s the origin of this supposed connection between Russian Germans and the AfD? Why is it assumed, and why has the AfD identified them as potential voters? Remember that the story of Russian Germans in the twentieth century was one of deportation and repressions. But the repressions have become a background issue – after all, anybody who considered it seriously would find it difficult to support a political party that is demanding a restrictive policy towards asylum seekers. The main factor now is how they perceive a common future: “We returned to our roots in Germany, and expected it to be like this and like this. We work, we earn money, we provide for ourselves. If you want to do well here, you work hard; you have a traditional family; you have strong intergenerational links and of course you adopt German cultural norms, you live like a German among Germans”. There is also an ethnic component to this – “we were persecuted as Germans; we want to live in our German homeland” and so forth. On the other hand, this is a generic picture of Russian Germans’ way of life in small towns and villages in Siberia and Kazakhstan before they repatriated to Germany. The Russian Germans’ “return to the homeland” in the 1990s didn’t play out quite as it’s remembered today. 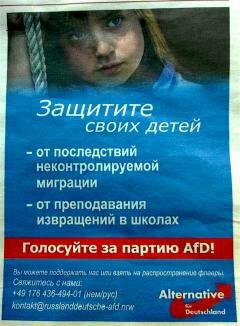 “Defend your children from the consequences of uncontrolled migration and the teaching of perversion in schools!” reads this Russian-language AfD newspaper advertisement. Photo: Ayder Muzhdabayev / Facebook. Some rights reserved. That return was a potent story, and it was exploited by the CDU. The attraction of AfD, for its part, lies in disenchantment: “we returned to our homeland and found it completely different”. Russian Germans discovered that that Germans didn’t actually see them as fellow Germans. They felt discriminated, even as they underwent a process of assimilation that led them to a variety of political positions. And today you have AfD, ready to exploit the disenchantment, and not just on issues close to Russian Germans, but to those like the refugee question which remain highly charged among the wider population. Russian Germans are particularly sensitive on this point: “we waited so long [and many of them did wait several years] and then these refugees turned up and they let them in straight away – why was it all so unfair?” What they don’t mention is that once the “Russians” did arrive, they were presented with considerably more rights and opportunities, and a fast track to German citizenship. We can say that the AfD gains traction on the back on wider issues, but cleverly tailors its statements to resonate with the attitudes of Russian Germans. Importantly, AfD is a new party, and its members are not all former Christian Democrats. In Germany, if you want to end up in the Bundestag you need to get involved in politics from an early age – say, at school. That wasn’t common among Russian immigrants 20 or more years ago. But the AfD, as a young party, allows you to skip all the preliminary steps in your political career. That often has mixed results. Waldemar Herdt’s was the seventh name on the AfD candidate list in Lower Saxony at this election; Anton Friesen (born 1985) was fifth on the list in Thuringia. They, with their good German names, were both elected, but others were not so fortunate. Sergey Chernov was eleventh on his local party list, and Yevgeny Schmitt, another Russian German, was seventeenth. AfD supposedly wants Russian German support, but is not keen on putting Russian names high enough on its lists for them to be actually elected. At the same time, a new generation of Christian Democrats, Social Democrats and others is also on its way up through the ranks, having started at the bottom. Things should be getting interesting. The growth of right-wing movements like the AfD is hardly confined to Germany. The Russian-speaking community in its various incarnations has a powerful rightist potential in both the USA and Israel. Yet the ethnic and socioeconomic makeup of people emigrating to Germany is very different from that of those who emigrated to those countries. Nevertheless, we see similar processes taking place. How can we explain this? I can’t say much about the USA and Israel, but I can about Germany. Russian Germans’ desire to emigrate to Germany and to belong there is based on their ancestry – that is a conservative principle. If they were to argue against that, they would be arguing against themselves. It didn’t start with the AfD – which was hardly the first rightist party to start mobilising Russian Germans. Just looking at the election results in Saxony, we can see that although nationalist and “patriotic” parties once had a lot of support, they weren’t as popular as the AfD is today. After all, not everyone was prepared to vote for the openly extreme right-wing NPD (National Democratic Party of Germany). Since the AfD didn’t have its roots in classic right-wing extremism, it got votes from ordinary people who had little interest in politics. And although many Russian Germans had right-wing views, they preferred not to vote for radicals – they generally had a more traditionalist outlook. You say that AfD’s strategy is to appeal directly to those immigrants who have the vote. Do you think other parties are equally interested in their views? Have the established democratic parties made any attempts to set up a dialogue with the Russian-speaking Diaspora? Somewhat, but they haven’t been successful and have perhaps started on the wrong foot. It seems to me that Russian Germans rarely get involved in the typical grassroots party work of knocking on doors in your local community. At the same time, distancing oneself from politics is a particularly strong phenomenon among post-Soviet people. Most wouldn’t touch political party meetings with a bargepole. But there are projects out there which aim to raise political consciousness among both Russian Germans and other Russian-speaking communities. The Union of Russian-speaking Parents, for example, attempts to involve post-Soviet immigrants in political life by organising a series of discussions before the elections in places like Leipzig and Marzahn, a dormitory suburb of Berlin. The AfD chooses to speak to Russian Germans as “real Germans” - in Russian! These events took place in Russian, and representatives of different parties were invited. It was really interesting and it was good that they took a different approach from the “oh, we can’t invite the AfD”. The key question is, how specific are the problems of immigrants from the former Soviet Union, and to what extent can their concerns be met by existing parties? The Greens are working on this – they’ve been raising question of full recognition of people’s earlier pension contributions before they came to Germany (this is especially relevant for Jewish immigrants). Other parties are also running discussion sessions, but I wouldn’t say they had met their full potential. And last but not least, parties should be speaking to immigrants in Russian. It’s not a question of people not being able to speak German: the second generation speaks it well, the older generation with various levels of fluency – but when you speak Russian to people, you acknowledge their distinctiveness. How the AfD approaches this is fascinating, because they speak to them as “real Germans” – in Russian! Two candidates from repatriate backgrounds (or as they’re still known, “Russian Germans”) have won seats in the Bundestag. Photo CC-by-2.0: Andy Blackledge / Flickr. Some rights reserved. Electoral rights are just one aspect, albeit an important one, of the experience of Russian speakers in emigration. Quite apart from the Russian Germans in Germany, there are a larger number of people who keep their Russian passports for years, don’t apply for citizenship in their new country for one reason or another but have nevertheless settled and live a normal life there. Meanwhile, nationals of other EU states resident in Germany have at least local voting rights (they can elect members of their local council but not vote for a Chancellor), but citizens of post-Soviet states have no such rights. If they were given the same rights, would we see a different election result? 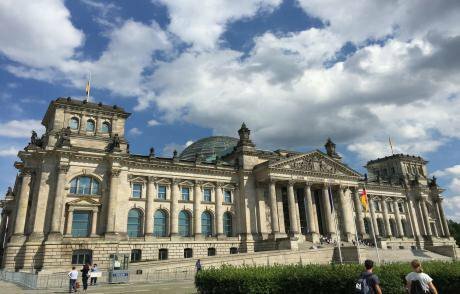 And could such a reform increase the electoral potential of Germany’s democratic parties? The 2016 report I mentioned earlier found no significant difference in voting patterns between people with German citizenship and those without. Also, it’s not just Russian Germans who are conservative in their attitudes, but also the highly educated immigrants who have arrived under the Blue Badge scheme. So I’d like to look at other forms of political participation. There is electoral legislation, but in principle one can join a party and be a political activist without having citizenship. And do former Russian or Soviet citizens avail themselves of this kind of participation? To a limited degree, to put it mildly. There’s a certain distrust of public politics. The liberal immigrant community in Berlin is active in raising consciousness of what’s going on in Russia, but only in Russian-speaking circles (it would be good to do the same thing in German). Nevertheless, they do also discuss Russia’s attempts at interference in the German elections and the general political situation in Germany. There is a liberal Russian-speaking community, not only from Russia, that actively debates the situation in Crimea, for example. So discussion exists, but it’s a question of what concrete political forms it can take: whether people should take to the streets or not. After all, there are rarely many protesters in front of the Russian Embassy in Berlin. Our columnist Nikolai Klimeniouk believes that the true victory of the right is that it now sets the political agenda, despite lacking any coherent manifesto. The AfD has succeeded in getting everyone talking about immigrants and refugees, while other issues have been put on the back burner. Even the extreme right is setting an agenda for political participation. Given that, during the election campaign a supposed link between “Russians” and the German right suddenly started making the headlines, this is very relevant. So why did AfD’s opponents go along so easily with this idea that Russian-speaking immigrants were some kind of enemy within? This isn’t the first stigma to have been attached to settlers from the former Soviet Union. Back in the 1990s they were often not acknowledged as Germans and were on the receiving end of nasty xenophobic jokes; then they acquired a criminal reputation: young guys spreading Russian prison culture in German jails, alcoholics without a future and so on. Now they are “the AfD voters”, which is very convenient: responsibility for the rise of the right can be shifted onto the shoulders of foreigners. The stereotype that Russian Germans are not real Germans is still very strong. In a word, they’re seen as some kind of hicks from the sticks? That’s it – they’re behind the times. And Russian Germans “obviously” voted this way on orders from Putin. But they didn’t vote for AfD because someone from outside had brainwashed them. They didn’t need propaganda to convince them of some of the party’s policies – restriction on refugee entry, for example. But the enlightened German public found it very convenient to believe that Russian Germans were responsible for AfD candidates winning Bundestag seats – even though Russian Germans have only two parliamentarians out of AfD’s 94. So all German politics revolves around the harassment of the “Others”? AfD stigmatises Muslim refugees, while liberal Germans lash out at the “Russians” who vote for this same AfD. It seems to be a vicious circle, with everyone looking for enemies. I think this will stop soon. There are other issues on the agenda, and I hope that this hunt for the “Others” will end. But that depends on how AfD behaves in the Bundestag. In the long term, these election results might encourage people in the Russian community who don’t share the party’s positions to become more politically active.